These natural oils are known to fight the build-up of bacteria and germs on the hands through the daily tasks and surfaces they come into contact with. 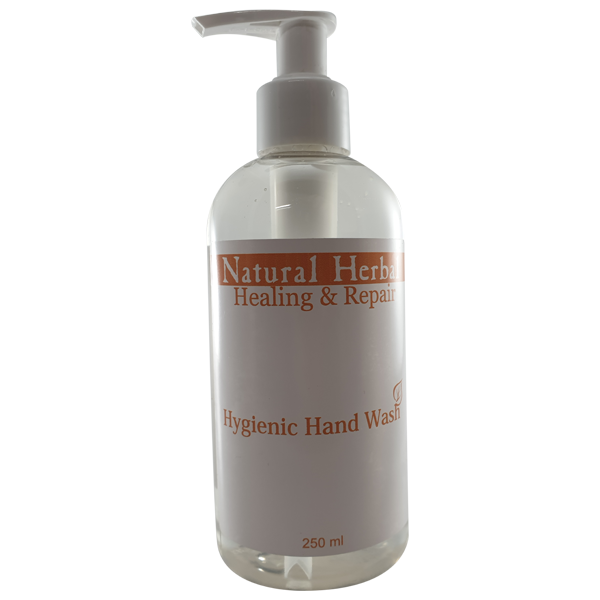 Healing & Repair Range Hygienic Hand Wash contains a potent combination of natural essential oils with Anti-bacterial, Anti-fungal, Anti-viral and Antimicrobial properties. Lavender flower oil, Tea tree oil and Rosemary oil have been synergistically blended to make up the heart of this Anti-Bacterial Liquid Soap. Using this product will leave your hands feeling Fresh, Clean and Sanitized. Apply a generous amount of Hand Wash to wet hands and lather. Scrub hands and nails for best results. Rinse with warm water. Contains Lavender, Tea Tree & Rosemary Essential Oils.